Welcome to our belated July newsletter! Our first new library item this month is a brief and insightful article by Bradley J. Birzer on J.R.R. 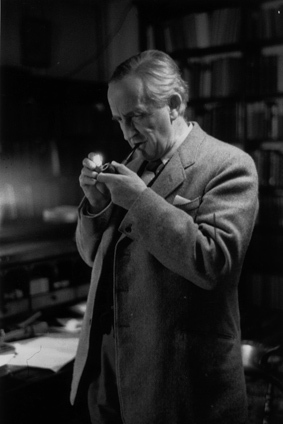 Tolkien’s religiosity, in an attempt to discern what exactly were Tolkien’s views on the things that his followers seem so readily to divide over. Tolkien didn’t love religion and only like language. And he didn’t love language and only like Catholicism. He wasn’t pagan, and he wasn’t anti-pagan. He was and loved all these things, and he saw no divide between a religion that preached the Word Incarnate and a scholarly life that focused on the use and deeper meaning of words. • A second article by Sayeh Meisami, “Mulla Sadra on the Efficacy of Prayer”, studies in detail the metaphysical understanding of prayer found in the works of the great Persian philosopher and sage. Every action associated with a free agent, though dependent on the will of God, also possesses a degree of reality just like every being is a flash of the light of God… the efficacy of prayer is appreciated in its own right as a flame from the fire of the divine act. • Finally we are grateful to republish the ever-timely “What is Conservatism?”, one of the indispensable texts on traditional political philosophy by Titus Burckhardt. The consciously conservative man stands alone in a world which, in its all opaque enslavement, boasts of being free, and, in all its crushing uniformity, boasts of being rich… From understanding and experience he knows that man, with all his passion for novelty, has remained fundamentally the same, for good or ill; the fundamental questions in human life have always remained the same; the answers to them have always been known, and, to the extent that they can be expressed in words, have been handed down from one generation to the next. The consciously conservative man is concerned with this inheritance. We would like to draw your attention to the forthcoming two-day course “Christian Platonism and the Spiritual Imagination”, taking place in Wells, Somerset, next October. Follow this link for details and to book a place.